The annual fall update for Xbox Live is up and ready for download. The update boasts improved features like a new dashboard (for everyone), and for Americans stuff like ESPN services, a Zune Music Pass, Netflix Search and more. Regular users of Xbox Live will also be treated to improved voice chat quality, it'll be easier to create a new Gamertag right on the console and wireless network connectivity. 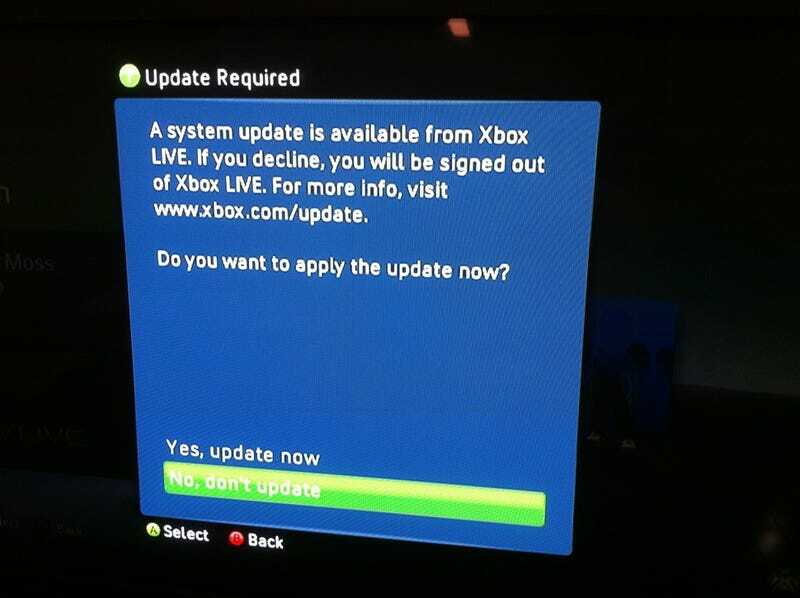 As previously detailed, the update features enhanced Zune integration, family programming, sleek Avatars and soothing music for dashboard dummies. More details at Xbox Live's Major Nelson.